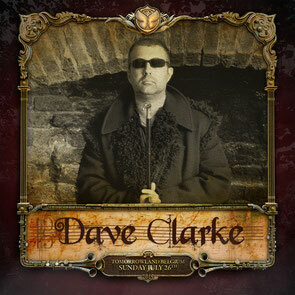 Dave Clarke will again host the Opera stage at Tomorrowland in Belgium on Sunday 26 July. Presenting a broad range of alternative dance music, Dave will be joined by big names from the techno fraternity, blending established names with the hot new talent with possibly something for every discerning music lover. Entrusted with the second largest stage for a fourth year running, Dave Clarke will share his passion for techno to a sold out crowd of music fans from 220 different countries, with special guests to be announced soon. Last year, Dave’s guests included Green Velvet, Gregor Tresher, Marcel Fengler, Octave One (live), Paul Kalkbrenner (live), Seth Troxler, Pierre, Vitalic (live) and Mc Gunner. Check Dave’s video from last year’s event below. For more info, check: www.tomorrowland.com.